First of all, I must admit to the fact that I tend to skip the whole hydrating, skin care routine more often then not. It's a time thing, mostly, or a 'snoozed one too many time to still have time' thing, if you wish. Ever since discovering how Lush's Cup O' Coffee can do wonders for a face that's just woken up, however, I am doing my best to keep this one up as many mornings as possible. If the smell of coffee/cocoa doesn't - quite heavenly - shake you awake, the feeling of your skin after you've washed it off your face, while scrubbing the coffee grounds (yes, coffee grounds!) in certainly will. It's a product I will definitely rush back to the store for when I run out, which will be pretty soon because I just love it so much. Then there's the end of a long day at work. I work in a shoe store so I do make a point of (trying to) look good every day, which means at least ye olde basic makeup layer every work day. This can be pretty tiring for your skin, and when you throw in those wintery winds and other weather conditions thrown at this die-hard cycler it isn't too long before my skin's had enough of it. That's where Dark Angels comes in. I mostly use it the minute I come home from work, as a last cleanser to get all the make-up off and start my evening with a clean skin. I'm quite confident when I say that, as far as cleansers go, this is definitely the best one I've ever had. It's pitch black thanks to its main ingredients black sugar and charcoal (I don't know what it is, but I tend to go for icky products. It's probably all in my head, but I feel like they work best, haha! ), and pretty messy to use, but boy, is it worth it! 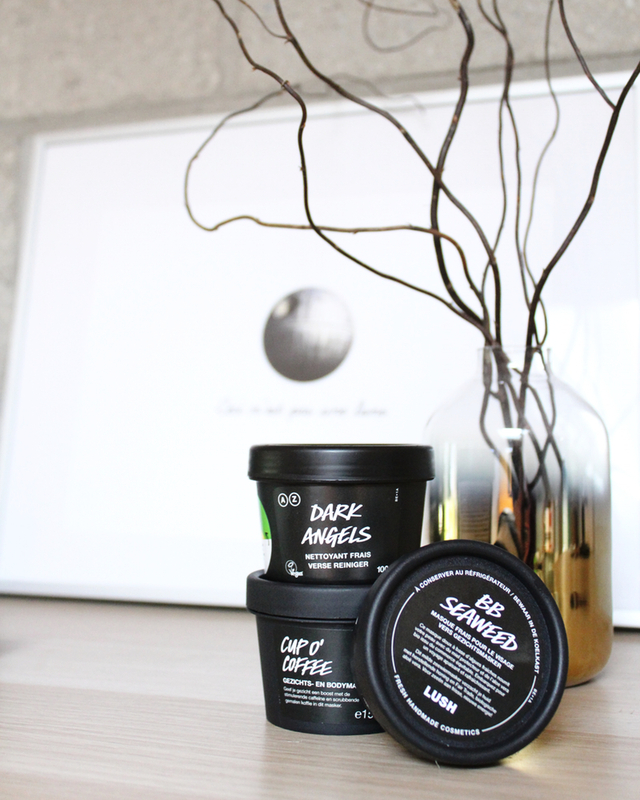 It's a deep cleansing of your skin while the black sugar serves as a soft scrub removing the tiniest bit of makeup or dirt left in those pores of yours. As far as face masks go, I try to use one once a week to really find out if it shows real results. 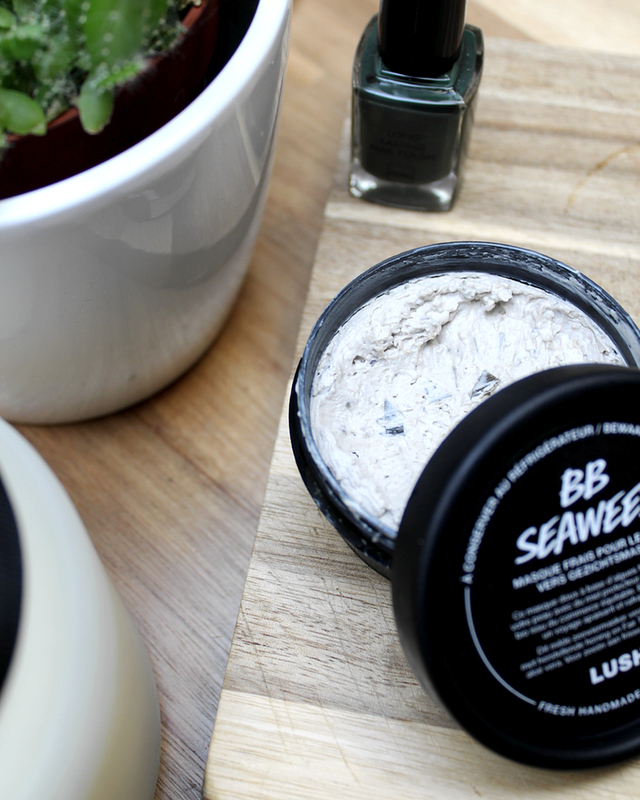 Now, I think I've tried just about every face mask Lush has ever made, but I always seem to reach back for their BB Seaweed. It appears to work best for me, but I can definitely recommend you try the rest of them as well because finding the perfect face mask is quite the personal matter. I've experimented with other brands, too, you know the kind: pre-packed in those thin packages and quite cheap. Never again, though, they mostly leave my skin worse than ever so I'm once and for all convinced that a good face mask is worth the extra bucks. As for the rest, I'm a real fan of Rituals' Ultra Hydrating Black (here I go again) Soap, which is part of their Ritual Of Hammam line, and am always on the lookout for the perfect hand cream. Q: How about you? What are your favourite Winter skin care products?